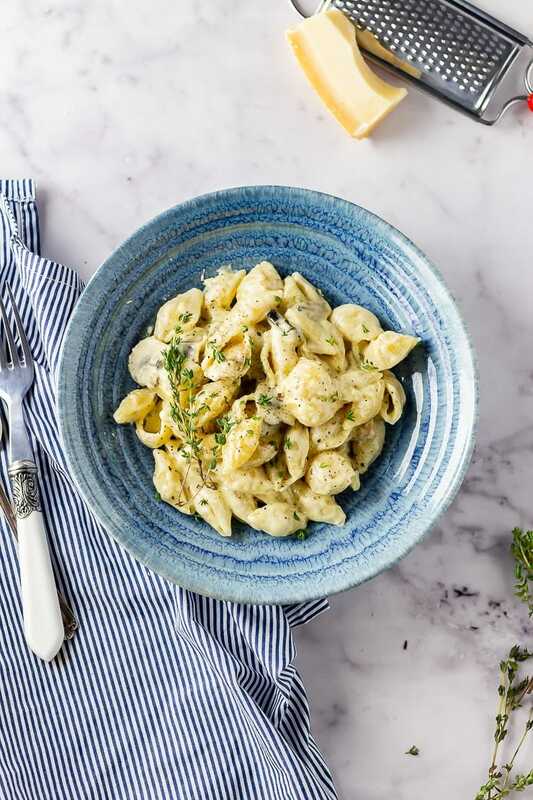 It’s time for cosying up with big bowls of pasta and this creamy mushroom pasta is pretty much the ultimate. 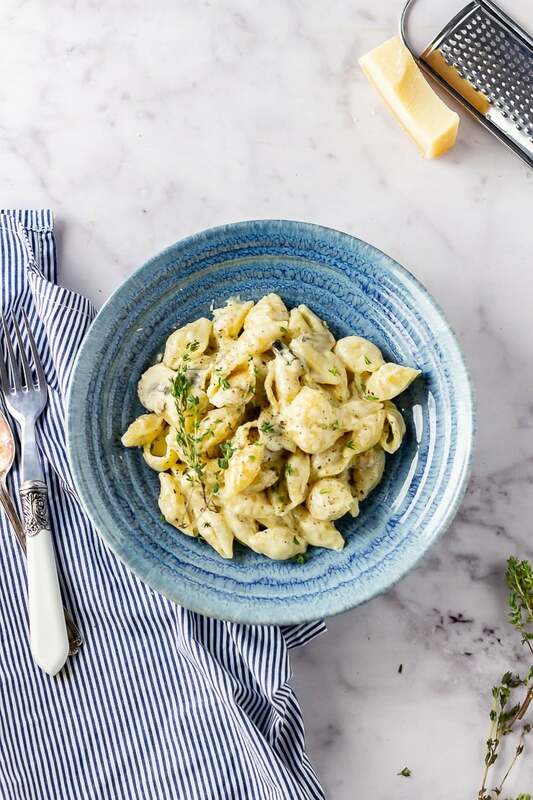 It’s got butter, garlic, mushrooms and thyme for a big ol’ flavour bomb that’ll fill you up and put a smile on your face. I use plenty of double cream in this because, well, sometimes you just need to go all out you know? 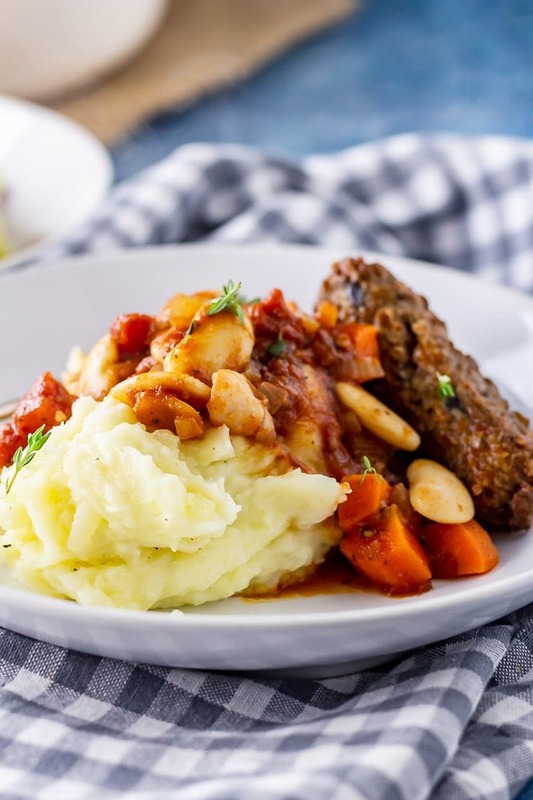 And it gives this dish the most comforting flavour and richness which I absolutely love. 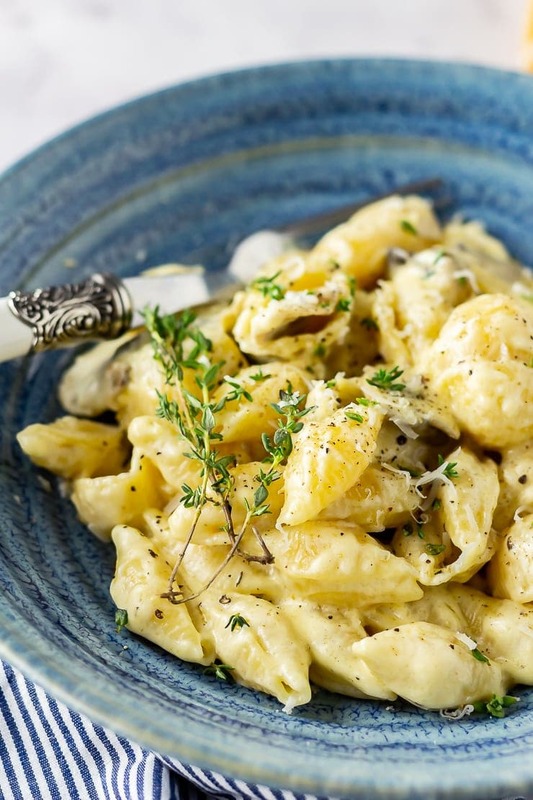 Can you use milk instead of cream in this creamy mushroom pasta? If you’d rather lighten this recipe up a little you could try using milk instead of cream. You might need to add a little cornflour slurry (whisk a few tablespoons of milk with a tablespoon of flour together) to the sauce to help thicken it but it should still taste amazing. 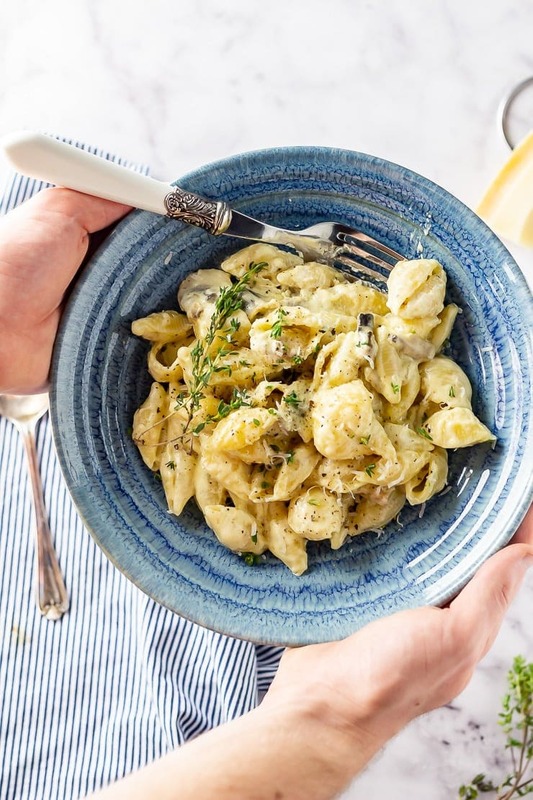 This creamy mushroom pasta is typical of a weeknight dinner in our house and one that I’ll throw together when I’ve got nothing else planned. What else is there to turn to when you’re desperate for dinner and have hardly any ingredients in your cupboards? 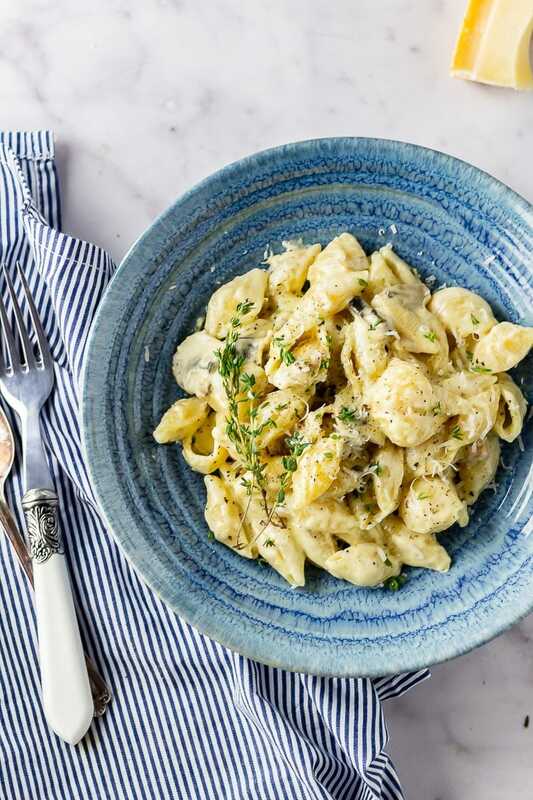 Of course we always always always have pasta in the cupboard and the same goes for garlic because it’s the best thing in the world. Then it’s just a case of picking up some double cream and mushrooms and you’re 20 minutes away from dinner. 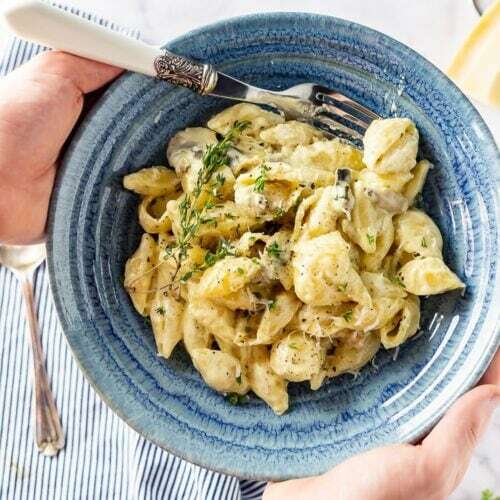 How to make creamy mushroom pasta? Cook the pasta: According to packet instructions and make sure to reserve a little pasta water before you drain it. Fry the mushrooms: Melt the butter and add the garlic then the mushrooms and thyme and fry until softened. 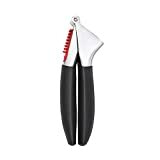 Scoop them out and set aside. Make the sauce: Melt more butter and cook more garlic and the flour then add the cream and whisk then simmer until thickened. 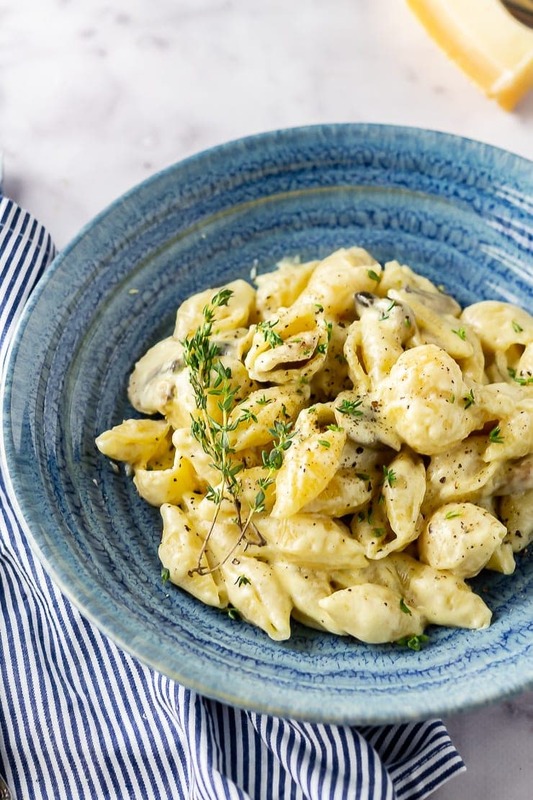 Toss the pasta with the sauce: Then serve with extra thyme and black pepper. 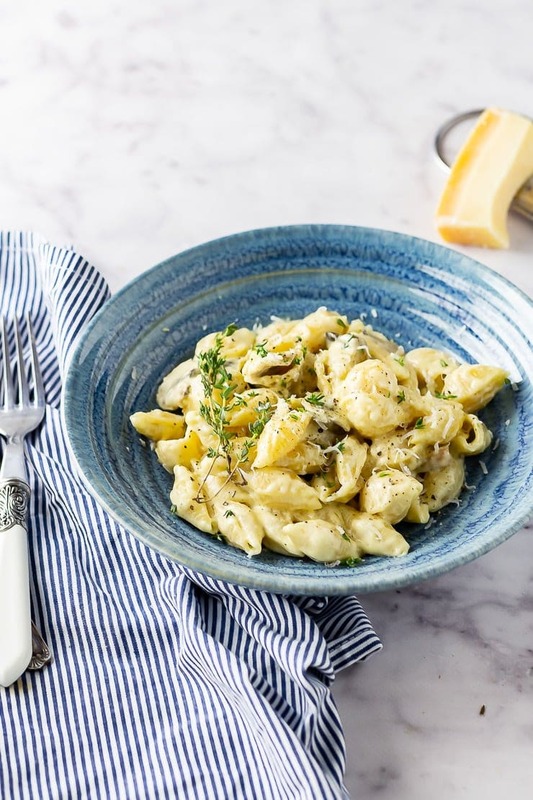 This simple creamy mushroom pasta can be changed up in some delicious ways! 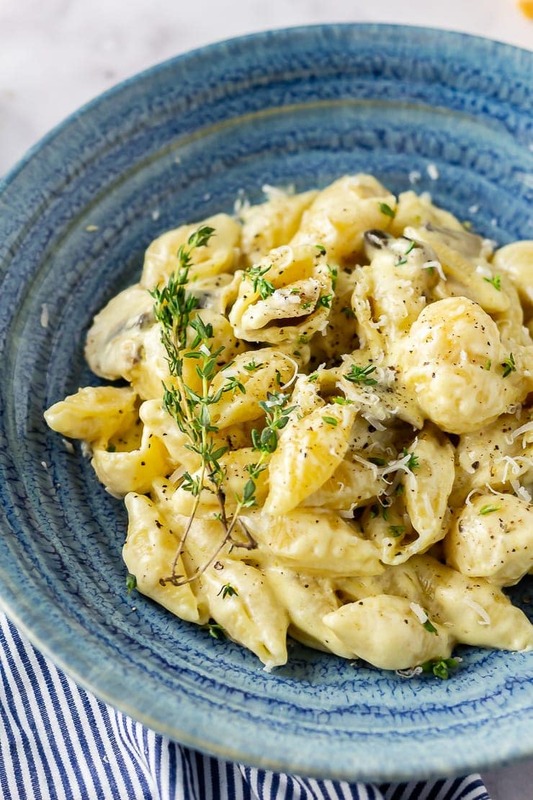 What goes with creamy mushroom pasta? 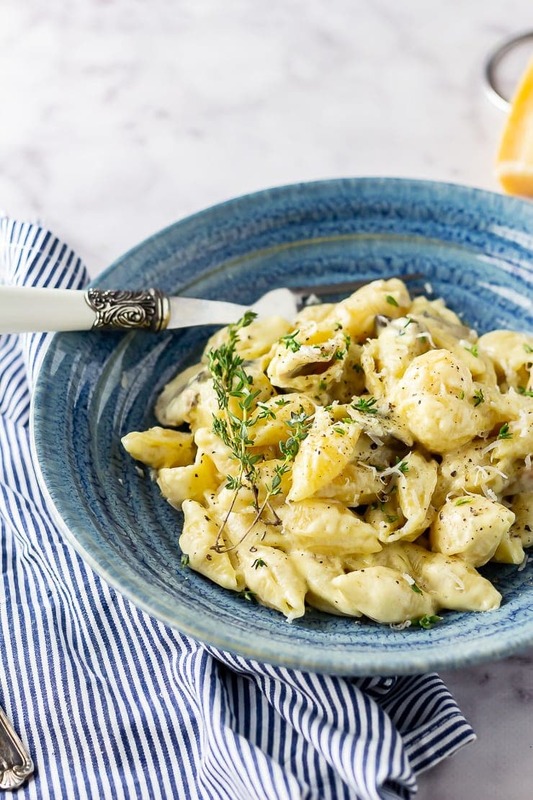 I’d strongly suggest serving this pasta with garlic bread because pasta is always improved with garlic bread but if you fancy something a bit lighter then this would be delicious with a simple green salad. 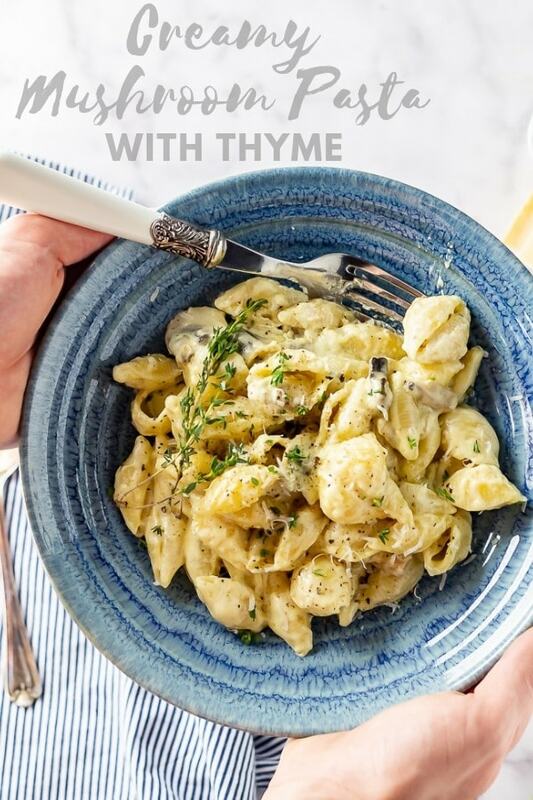 WONDERING WHAT TO DO WITH THE LEFTOVER INGREDIENTS YOU’VE GOT FROM MAKING THIS CREAMY MUSHROOM PASTA WITH THYME? Thyme works perfectly in this winter warmer. 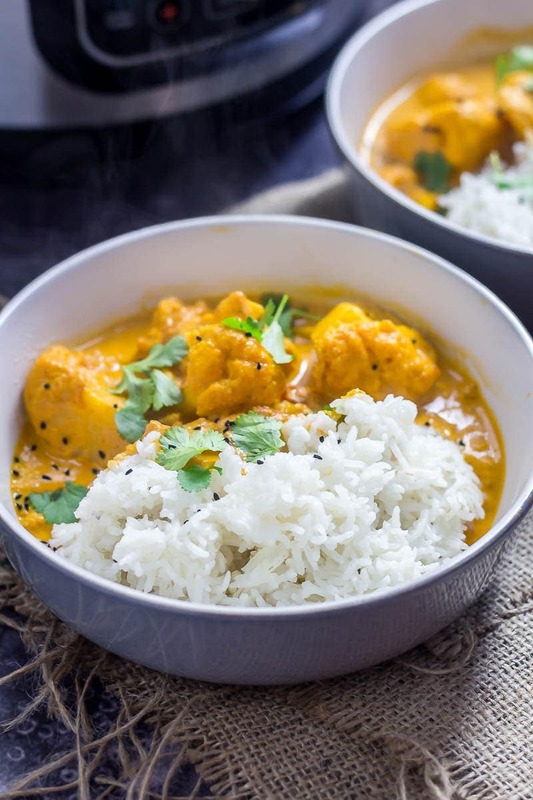 If you’ve got leftover double cream definitely make this creamy curry. 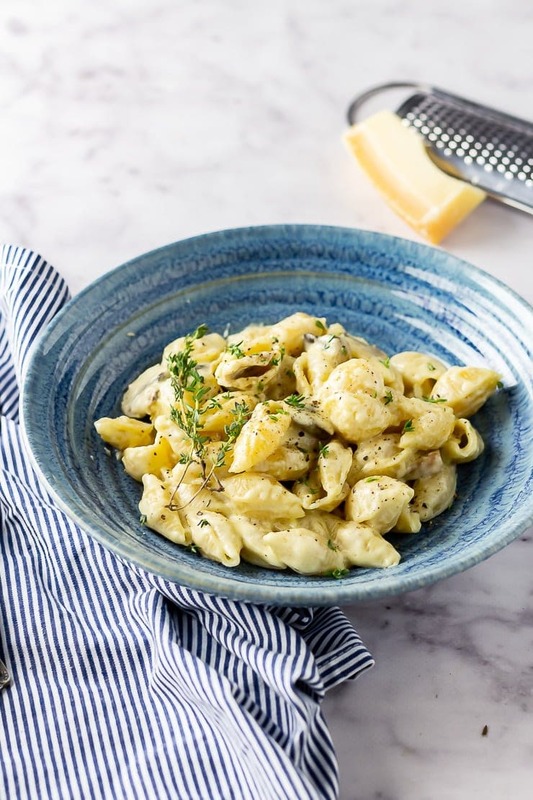 Creamy mushroom pasta is the perfect easy vegetarian dinner. It's so simple to make and is the ultimate weeknight comfort food! Melt half the butter over a medium heat and add half the garlic. Cook for a couple of minutes then add the mushrooms and thyme and fry for about 10 minutes until softened. Scoop out the mushrooms and set aside. Add the rest of the butter, melt and then add the rest of the garlic and the flour. Cook for a couple of minutes then slowly pour in the cream and whisk. Simmer until thickened. 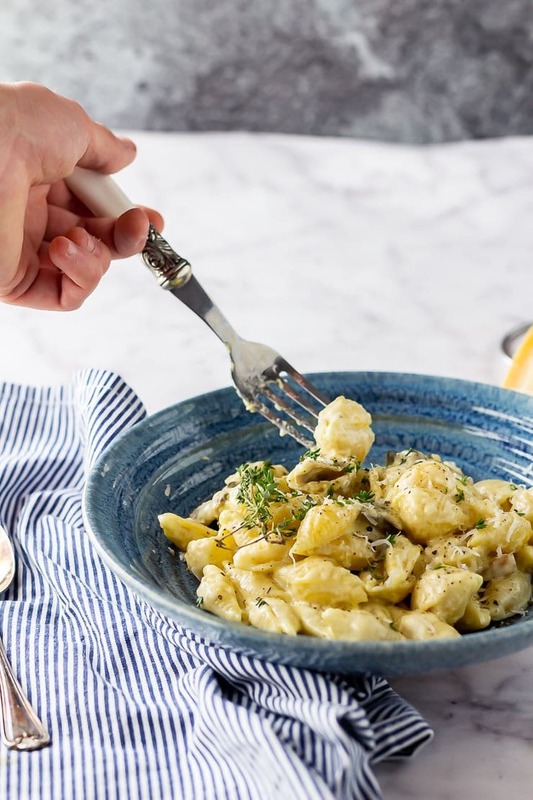 Add the pasta and mushrooms plus a little pasta water, add a tablespoon at a time, until everything is coated and the sauce is the desired consistency. Serve sprinkled with thyme and black pepper.